This article was posted on 21st April 2017. Occasionally, in this big bad world, you're lucky enough to meet a person that immediately puts you at ease - their warmth and positive energy radiates with disarming affects. Victoria, the wonder woman behind lifestyle blog Apartment Number 4 is one of these people. Whether you're fortunate enough to meet her in person or immerse yourself in her online world you'll find yourself inspired by her budget-luxe interiors, reassured by her honest tone of voice and motivated to get blogging yourself. We love your blog! what inspired you to start blogging? I actually started blogging back in 2009 when my university tutor asked if anyone knew what a blog was and we all looked around the room dumbfounded. I decided to research various sites and came across Coco’s Tea Party and Cupcakes & Cashmere and absolutely fell in love with their way of showcasing their lives in such an editorial fashion. 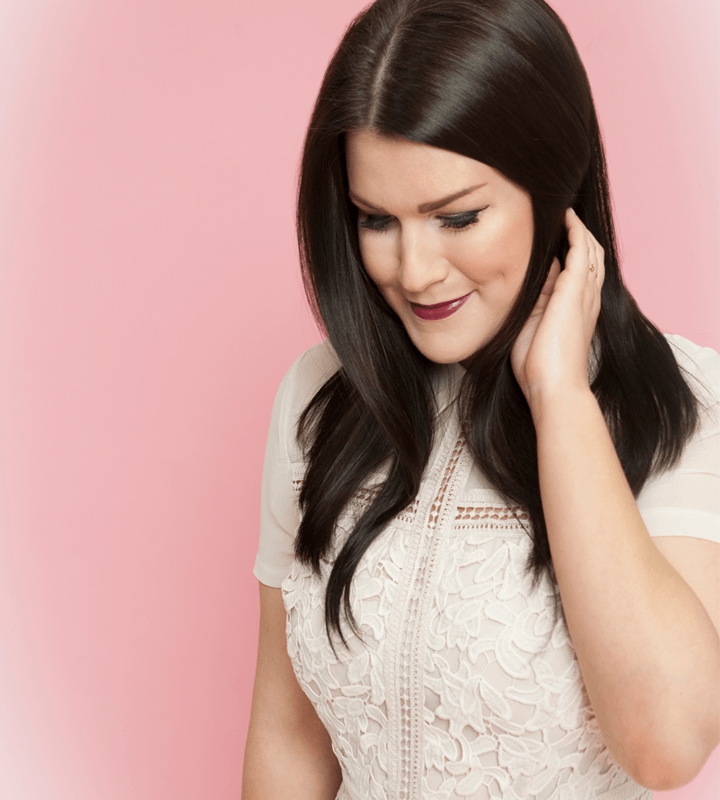 It was then I launched my blog (which was called I Heart Fashion way back when) and I haven’t looked back since. Who would you say is your number one style influence? & where is your go-to place to find inspiration? 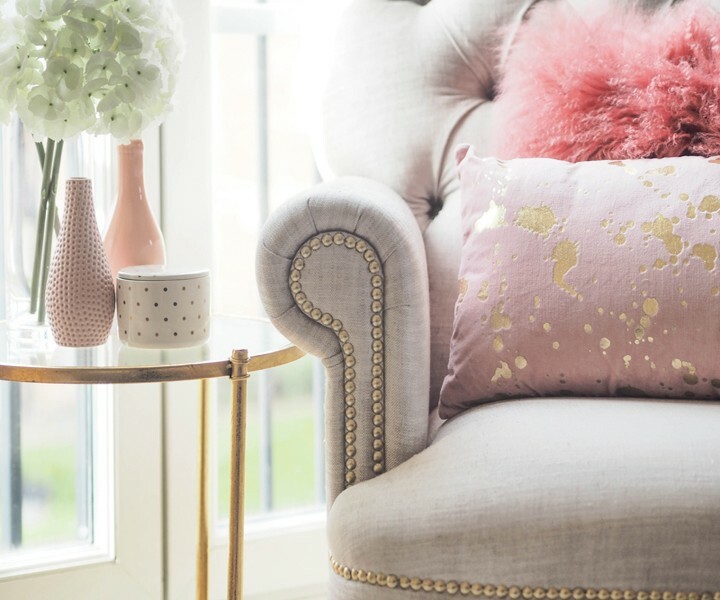 In terms of personal interior style, I absolutely love anything interior stylist Emily Henderson does. There’s something about her eclectic, bohemian flair that captures my heart every time I spot an Instagram post, or a new blog update. When I’m looking for inspiration for either a blog post or styling a shoot, my first port of call is Pinterest. There’s an abundance of inspiration there, from interiors to food styling, to colour palettes that work well together. 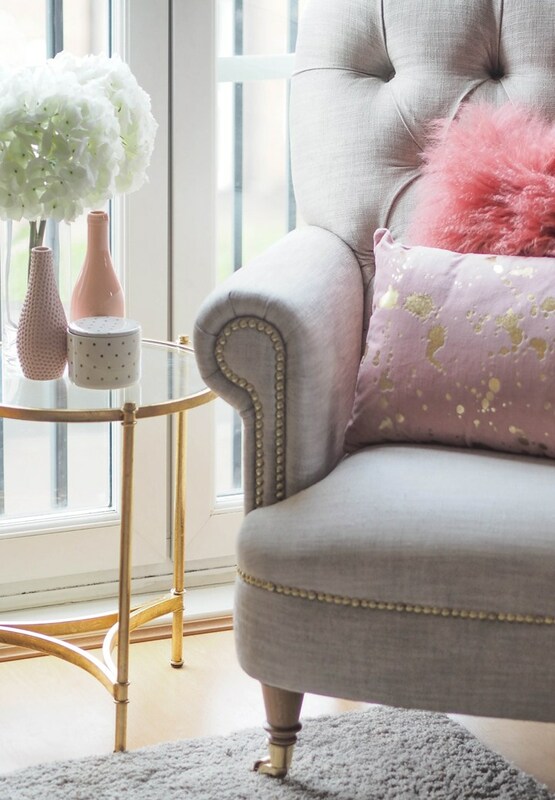 Of course, other bloggers have a big influence on me and even though our styles are very different, I absolutely love what interior stylist Sarah Akwisombe is creating at the moment. That woman is the epitome of girl boss. 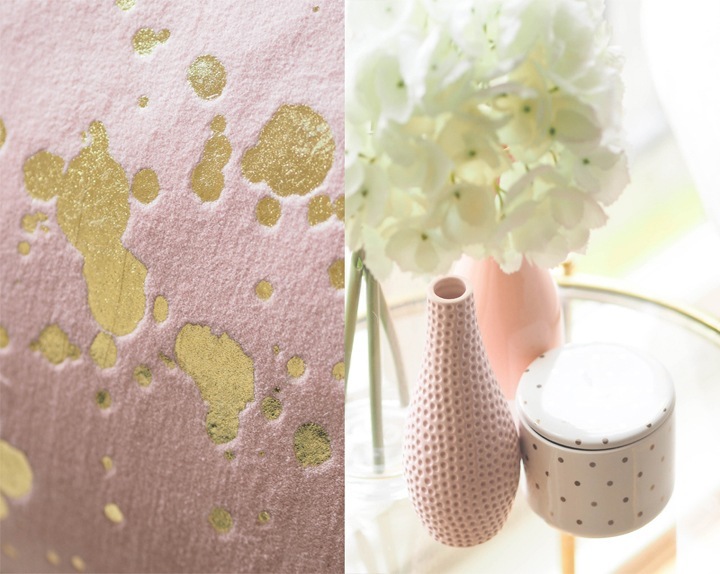 Get the look: Gold Side Table and Splash of Gold Cushion. What’s your ultimate favourite piece in your home? Why is it so special? I have a small pink chair in the corner of my hallway and even though it’s certainly seen better days, it was passed down to me from my grandma so I’ll never get rid of it – although to be honest, I think it deserves a reupholster soon and I’m thinking a teal velvet with gold legs. What are your favourite interior trends of the moment? Despite living in a rented apartment and not being close to ever renovating my own home, I’m obsessed with kitchens at the moment. I love the trend for dark blue cabinets and hints of brass and marble. I’m a sucker for subway tiles, and having splashes of pastels such as a mint green Smeg coffee machine. Another trend I’m loving is art décor. I predicted this would make its way back into interiors back in last year, and I’ve started to spot some beautiful 1920’s inspired prints and decorative accessories on the high street. Is there one particular piece you’re lusting over for your home? If money wasn’t an object, it would have to be a midnight blue velvet sofa. That’s the dream. I’m always turning my hand to updating old pieces of furniture and I think the best piece is an old rocking chair which my Grandma gave me. My Grandad actually built it himself so I knew I wanted to do it justice so I stripped it back, sanded it and colour dipped it with white on the top and pink legs. It works really well in the corner of my office as a pop of colour. We start styling our outfit with our shoes… Where do you start when you’re tasked with styling a space? When I’m styling a space for a photo shoot I have a habit of piling everything in and then slowly subtracting until the space works. I used to go overboard when it came to decorative accessories but as I’ve got older and my taste has become more refined let’s say, I now realise less can be more. I always try and work with a complimenting colour palette though so I’d say the first thing I’d consider is what tones and shades work well together. We can see you have some amazing travel opportunities! Where has been your fave place to visit? Is there anything you just have to take with you when you’re away from home? I’m very lucky to travel the world with my day job as the Editor-in-Chief of a men’s fashion magazine, including Copenhagen, Florence, Hong Kong, Paris and Berlin. But my favourite place to travel to has to be New York. If there was another city I’m supposed to live in in this lifetime, I think New York would be it. Without a shadow of a doubt I’ll have my camera on me at all times to capture any Instagram or blog worthy travel moments – and let’s face it, in New York there are plenty of those. If you could only have one; Instagram or blogging…Blogging of course! Favourite sweet treat… I’ve recently given up refined sugar it would have to be my homemade no sugar, no gluten, no diary chocolate which was actually amazing, despite how it sounds. And…. If you were a jacket, what would you be and why? It would be a timeless leather jacket. A favourite of most peoples and something you can rely on every day.